On 23 May 2018, the Equal Opportunities of Persons with Disabilities Non-profit Ltd. (FSZK) had the honour to accept the visit of Lisette Schermer (European Commission, Policy Officer, Erasmus+, DG Education, Youth, Sport and Culture) and present her the Erasmus+ project Path Of Deinstitutionalisation – Urgent Moves (PODIUM) implemented by our consortium of 6 partner organizations from 5 countries. The PODIUM project was selected by the Hungarian National Agency, Tempus Foundation as a Hungarian good example of Erasmus+ programs, that’s why we had the chance to present our project to the member of the European Commission. 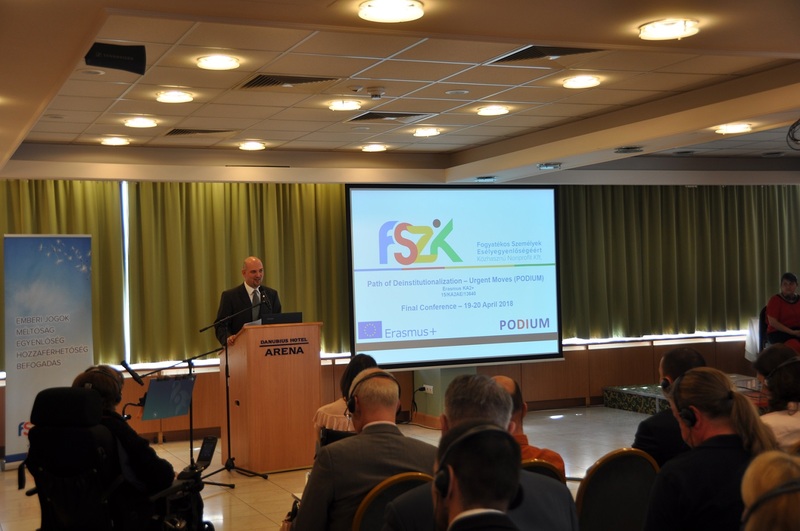 It was a very honourable and great opportunity to present not only the PODIUM project, but also introduce the other programs and activities implemented by FSZK, such as TÁRS (EFOP 1.9.1.) or Montázs (EFOP 1.9.2.) projects which have been implemented also from European Union fund by our company. It was a pleasure to share our activities and results and it was really an honour to be in the sight of the European Commission. Thank you for the visit to Lisette Schermer and for the opportunity to Tempus Foundation and our consortium partners. Author: Equal Opportunities of Persons with Disabilities Non-profit Ltd. The final conference of the Erasmus+ KA2 project called “Path of Deinstitutionalisation – Urgent Moves (PODIUM)” and funded by the European Union has been held in Budapest (Danubius Hotel Arena) on 19th and 20th April 2018. The conference was a good mix of celebrating the project results and the freshly trained DI managers, and of some valuable professional discussion in the topic of Deinstitutionalisation (DI). The PODIUM project has been implemented by an international consortium of 6 partner organizations from 5 different nations, namely by FSZK Nonprofit Ltd. (Hungary), Eötvös Loránd Unibversity (Hungary), MDRI-S (Serbia), CUDV Draga (Slovenia), Asociatia Alternativa Brincovenesti (Romania) and Region Midtjylland (Denmark). 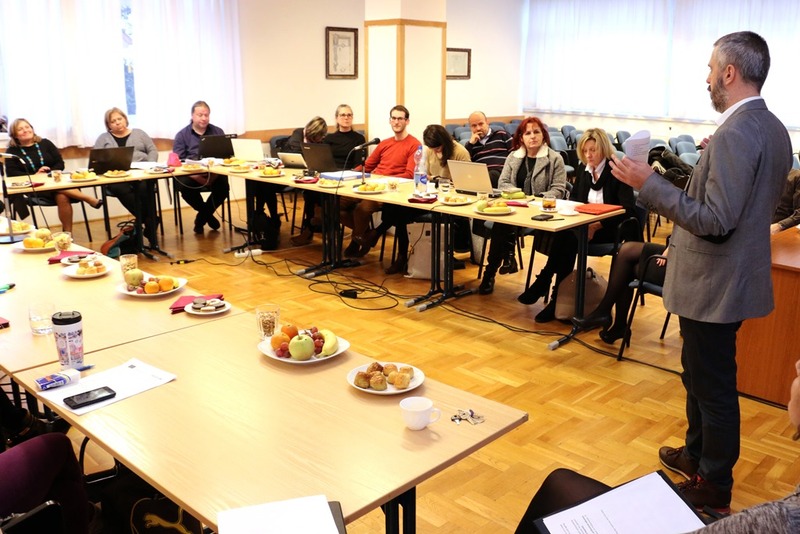 The main goal of the project (of which implementation has been started on September 2015) was to train out such experts, such DI managers in the Central-Eastern European partner countries like Hungary, Romania, Serbia and Slovenia, who can indeed support the local DI process of their countries with that approach, vision and knowledge that they have gained during the training. 32 months is a long period, and that was a big route for the consortium members with many dilemmas, many sincere discussions, many questions and many efforts to answer all these questions in relation with DI. The partner organizations also shared many good experiences with each other during the implementation of the project and shared all of their experiences with each other regarding DI. It was a great learning curve for all of them, as the social care system as well as the DI process are on a different level in all the partner organizations. It’s a difficult and responsible task everywhere, and in the PODIUM project some very dedicated professionals have been met and talked with each other to find the essence of how to do the DI process right and then share this knowledge with as many experts and professionals as possible. As a result of this permanent professional discussion, at first a core training material has been developed together by the consortium, then all the partner organizations (with the exception of Region Midtjylland) adapted this core training material to the needs and circumstances of their own countries. 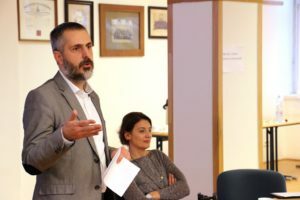 Then, Region Midtjylland organized the train the trainers’ training and as a final result of the project, 20 DI managers have been trained out in Hungary, in Romania, in Serbia and also in Slovenia. 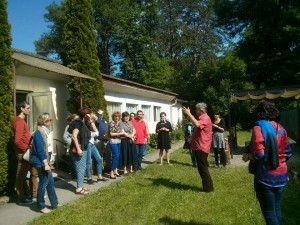 Furthermore, thanks to ELTE University in Hungary, the approach and vision which is integral to implement DI process in the best possible way both ethically and professionally has been disseminated also to the future generation of professionals – 31 college students have graduated the course of ELTE entitled “Theory and Practice of Supported Living”. The final conference in one hand was the celebration of the above mentioned new DI managers and graduated college students, and of course the project itself, but in the other hand it was a great field of some further professional discussions with so many such exciting and interesting presentations and topics. The organizers were very happy as the number of participants was above 150 on both days of the conference, and it was a very colourful audience as in total 16 different nations (from two different continents) were represented in the event. 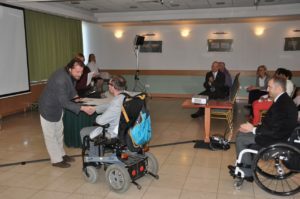 Also many people living with disabilities were involved in the final conference, as we could see people living with disabilities both in the audience and among the moderators and presenters which was a great implementation of the “nothing from us without us” principle. Talking about the celebration part of the event, we can mention that at the end of the first day there was a Certification Giving Ceremony in the framework of which Mr Pál Szekeres, Ministerial Commissioner for Social Integration of People Living with Disabilities handed over ceremonially the certifications of the training for those 18 professionals who graduated the “DI manager training course” organized by FSZK Nonprofit Ltd. in Hungary. Moreover, also as part of this Certification Giving Ceremony, Dr Péter Zászkaliczky (Dean of ELTE University Bárczi Gusztáv Faculty of Special Education) and Dr Gábor Juhász (Dean of ELTE University Faculty of Social Science) handed over ceremonially the certifications of the course for those 31 college students who graduated the “Theory and Practice of Supported Living” course in ELTE University. The welcome speeches of Mr Pál Szekeres (Ministerial Commissioner for Social Integration of People Living with Disabilities), Dr Péter Juhász (Ministry of Human Capacities, General Department of Disability, Head of General Department), Mr Péter H. Giflo (managing director of FSZK Nonprofit Ltd.), Dr Péter Zászkaliczky (Dean of ELTE University Bárczi Gusztáv Faculty of Special Education), Dr Gábor Juhász (Dean of ELTE University Faculty of Social Science) and Jim Crowe (president of European Association of Service Providers for Persons with Disabilities) also lifted the festive mood of the event. But – as we have already mentioned it above – this final conference was more than a simple celebration of the project and its results. This event was also a good ground for dedicated professionals from many many countries to meet and talk about the dilemmas, difficulties, good and bad examples and future tasks of DI process in general. The presentations were extremely colourful and diversified in their topics which helped the audience to get a quite wide picture on the different aspects of DI. You can find and download all the presentations under this article. Finally, the stage-play of Slovenska Popevka (Slovenian Pop) in which people living with disabilities played, acted, singed, danced and played music together in perfect harmony was a very nice and touching closure of the final conference that mediated perfectly the message of PODIUM project: we saw not disabled, but only abled people on the podium, who are the stars of their own lives and we saw some very dedicated people next to them, who supported them with sincere heart to dredge up their values and talents. We think the final goal of DI process is that every people living with disabilities receive the same assistance that they need to feel they are the stars of their own lives. Consortium leader Equal Opportunities of Persons with Disabilities Non-profit Ltd. (FSZK) is hereby kindly inviting everybody to the final conference of the Erasmus+ KA2 project funded by the European Union called “Path of Deinstitutionalisation – Urgent Moves (PODIUM)” which will take place in the Danubius Hotel Arena in Budapest, Hungary, (1148 Budapest, Ifjúság útja 1-3.) on 19th and 20th April 2018. The PODIUM project has been implemented by a consortium of 6 partner organizations from 5 different countries. The total EU fund of the project was 293.265 € and the implementation of the project took 30 months. As a result of the project, the first “Deinstitutionalization (DI) managers” have been trained out in 4 different partner countries. During its pilot training consortium leader Equal Opportunities of Persons with Disabilities Non-profit Ltd. trained out 20 DI managers in the adult education system, who are to be the pioneers of the national DI process. Moreover, consortium member Eötvös Loránd University launched a new university course with the title “The Theory and Practice of Supported Living” and thanks to this pilot course they implanted the seeds of the philosophy of DI in the heart and brain of 31 future special education teachers and social science teachers. They all will ceremonially receive their certifications in the framework of the PODIUM project’s final conference. Such as FSZK in Hungary, also consortium members CUDV Draga in Slovenia, MDRI-S in Serbia and Asociatia Alternativa Brincovenesti in Romania trained out 20 DI managers in their own countries, who are to be the pioneers of the DI process in the relevant countries. It would be exciting to listen also the experiences of some of these brand new DI managers in the final conference. Danish consortium member organization, Region Midtjylland was responsible for the organization of the train the trainers’ training course which was the basement of the later national DI manager pilot trainings. They also had a great impact and gave many important inputs to the work of the other participating countries with sharing all of their good practices, as in Denmark the same DI process has already ran its course some decades ago. Of course, they will be also present in the final conference to share their values and experiences with everyone. 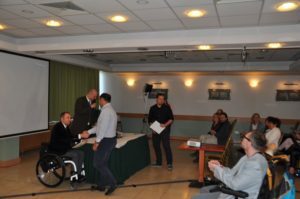 11.00 – 11.15: Equal Opportunities of Persons with Disabilities Non-profit Ltd.
12.15: The official program of the final conference ends. We can’t provide any support for travel costs for anyone. In the whole time of the final conference, all the program points will be synchronized from Hungarian to English and vice versa, so it is sufficient for the participants to speak either Hungarian or English. Please indicate any of your special needs during your registration. We can’t provide any more free-of-charge accommodation for the participants. Eötvös Loránd University, Bárczi Gusztáv Faculty of Special Needs Education (BGGYK) and Eötvös Loránd University Faculty of Social Sciences (TÁTK) organized the first international partner meeting of 2017 in Budapest, in the framework of the EU-funded project called Path Of Deinstitutionalisation – Urgent Moves (PODIUM). 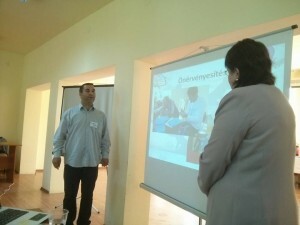 The members of consortium – which includes 6 partner organizations from 5 different nations and led by the Equal Opportunities of Persons with Disabilities Non-profit Ltd. (FSZK) – listened and saw some great and thought-provoking presentations and took part in some frank and fruitful conversations that brought them closer to reach their project goals. From which project goals the most important one is to support the Deinstitutionalization (DI) process by elaborating the DI manager training program and train the future DI managers in four Eastern-Central-European partner countries, namely in Hungary, in Slovenia, in Serbia and in Romania. In our 3-days long meeting in Budapest Tibor Veres, an institution leader from Slovakia was also present as a guest participator as he also intended to get some part from that huge amount of common experiences, knowledge, brainstorming and inspiration that emerges every time when this colorful consortium comes together and have some chat on the different aspects of DI. After the welcome speeches of the Vice-Dean of ELTE BGGYK, Dr. Krisztina Stefanik, the Vice-Dean of ELTE TÁTK, Renáta Németh and the Managing Director of FSZK, Péter H. Giflo, all the partner organizations shared a small presentation with the other consortium members, informing them about the current state-of-art of the adaptation process during which they are elaborating their own, nation-specific DI manager training program. It was exciting to hear 5 very different, but equally good conceptions for the implementation of the training program and it was also a relief that all the partners have now some concrete idea and tools on what to do and how to do it. 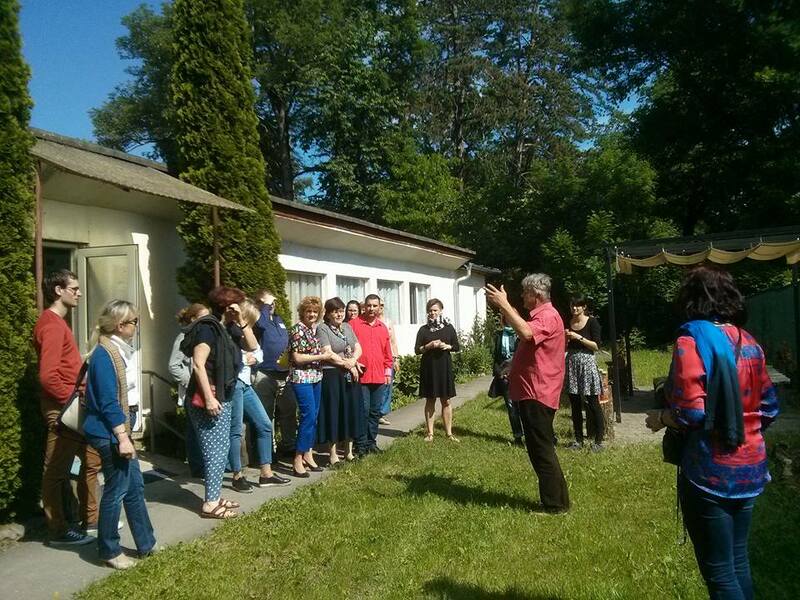 In the remaining two days, participants had the chance to visit some service providers in Budapest (such as Universal Design Information and Research Center; Down Foundation; Awakenings Foundation; Salva Vita Foundation; Training appartments of Kindergarten, Elementary and Secondary School, Boarding School and Methodology Center for Students with Physical Disabilities and Training appartments of Kindergarten, Elementary and Secondary School, Boarding School, Children’s Home and Methodology Center for Students with Intellectual Disabilities) and to listen some very good, thought-provoking presentations in some exciting topics in connection with DI. Also the Ministry of Human Resources was presented in the event by the participation of the Head of Department of Disability Affairs, Mr. Péter Juhász, who shared a presentation with the consortium members about the legislative background of supported living in Hungary. Then, he also accepted and answered honestly all the questions of the Danish, Slovenian, Slovakian, Serbian, Romanian and Hungarian partners making them well-informed about the state-of-art, background, difficulties, milestones and goals of the Hungarian DI process. Participants also heard some other informative and interesting presentations about such aspects of the DI process as autonomy, legal capacity and children living in institutions (foster families and child adaptation). Amongst the presenters there were also many people living with disabilities who shared their life experiences and the participants had the chance to ask some questions and have a very honest and open conversation with them. As a summary, we can say that though the work is still in process, thanks to this partner meeting in Budapest every partner enriched with many useful inputs, inspirations, experiences and knowledge that can help them now to elaborate their trainings as circumspectly as possible, taking into consideration the “nothing about us without us” principle, too. What we have learned in Denmark? 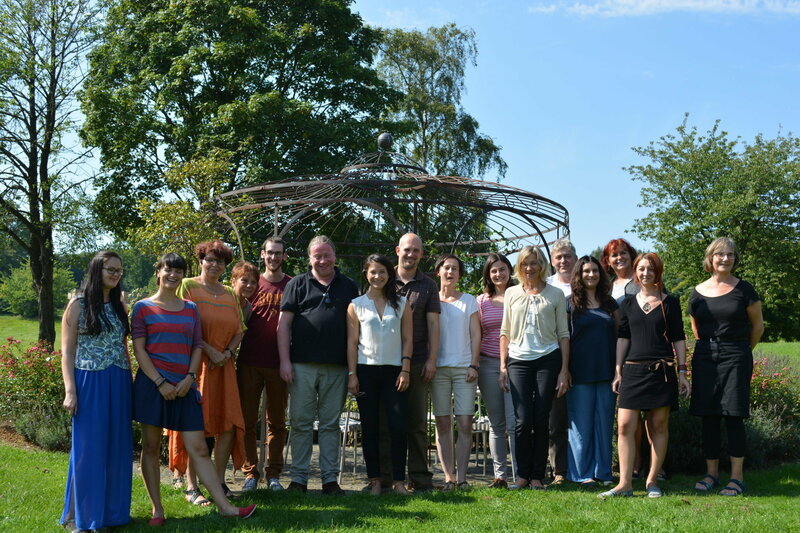 Between 24 and 26 August 2016, the project called Path of Deinstitutionalisation – Urgent Moves (PODIUM) – supported by a 293.265 € European Union fund – has continued with a 3-days long partner meeting in Aarhus and Odder Denmark. The main goals of the event were to visit and discover as many modern, post-deinstitutionalization community based services in Denmark as possible. Also to give some essential feedbacks to Central Denmark Region in relation with the train the trainers’ programme helping them to prepare to the training which is to be held next summer with the participation of 30 future trainers who will then train the future DI managers in their home countries. Since our last partner meeting in Transylvania (see below our news published on 09-06-2016), the consortium of 6 partner organizations has managed to finalize the core training material and the partner organizations have already started to adapt it to their own national environment, developing their own DI manager training programme. In the meantime, Central Denmark Region started to develop the train the trainers’ programme which will be the fundation of the train the trainers’ training which is to be held in the summer of 2017. For this process, it was essential for Central Denmark Region to ask and receive some important feedback from the partner organizations coming from Hungary, Romania, Serbia and Slovenia to be able to adapt the training programme to the needs of the participants. That was one of the main goals of the partner meeting in Denmark, which on the other hand we can also call a study tour as the Danish partner showed us many interesting post-DI local community based services and we also heard some exciting presentations from the participants of the Danish DI process which has been successfully implemented 2-3 decades ago. We can say that our meeting in Denmark was a great success in many ways. Consortium members shared their ideas and questions with Central Denmark Region to help them developing the train the trainers’ programme. They learnt about good practices which gave them many ideas about how they should implement the DI process in their home countries. It was kind of a journey into the future for the partner organizations from Central Eastern Europe and it was a great chance for them to increase their knowledge on DI. The visits provided the opportunity to have honest conversations with experts who were part of this whole transforming process in Denmark. During our time in Denmark, thanks to the organization of Central Denmark Region, we managed to visit no less than 7 modern community based services in the first two days of our meeting. Participants had the chance to visit a Treatment Center for young children in Lystruplund, a 24-hour and respite center in Fenrishus, Job Project Morfeus and other community based services in Aaarhus such as Housing support/services, Support for people with psycho-social disability and addiction, the Emergency Response and Outreach team and also the Museum in Solund. Anywhere we went, we met very dedicated and enthusiastic professionals who are real experts in their field and saw not only many good examples of community based services but we were given a general picture on how the service system should be built up as a whole after the large residential institutions had been closed and DI process had been successfully implemented. Build up the new type of community based services prior to demolishing the large residential institutions. The cooperation between the different social service sectors (health care, job consultants etc.) and all the professionals involved in the process will be essential after the DI. Person-centered approach, flexibility, trust and giving hope should be the keywords in all level. 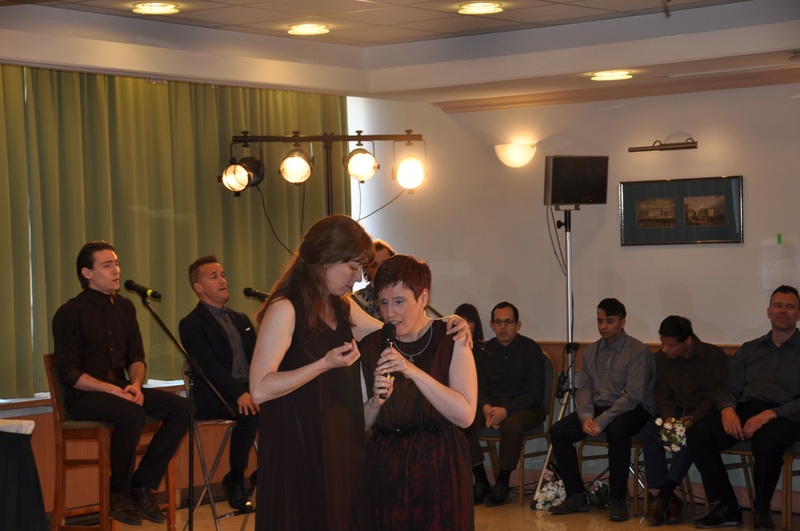 After the kick-off meeting in Budapest and the partner meeting in Ljubljana, at the end of May 2016 the professional work of the Path of Deinstitutionalisation – Urgent Moves (PODIUM) project continued in Targu Mures and Brincovenesti, Romania. The main topic and aim of the meeting in Transylvania was to finalize the core training material, which aim has been successfully reached by the consortium of the 6 partner organizations involved in the project’s implementation. This core training material will be the basement of the training programme of the future DI managers, and the consortium members felt it very important to share all their good practices with each other in order to create the best possible training material. From that reason, consortium leader FSZK Nonprofit Kft. invited to the Transylvanian meeting György Kalányos, one of the three young people living with disabilities who moved from a big institution to a small apartment in Tapolca thanks to the KULCS programme. He and Ildikó Horváthné Somogyi, the pioneer of KULCS, presented the programme as a Hungarian good example, and they also took part in the whole two-days of meeting, sharing their opinions on the advantages and difficulties of DI process, the features of a good DI manager etc. Their participation in the meeting was definitely an added value which was welcomed by all the consortium members. Also ELTE (Hungary), CUDV Draga (Slovenia) and MDRI-S (Serbia) prepared with a short presentation, which were all very useful to see and hear. ELTE hold its presentation from the Community Based Services, CUDV Draga shared a sensitizing video with the others, whilst MDRI-S talked about the situation of DI and Community Based Services in Serbia in its presentation. After that the stricter professional work has been started in the meeting, which was interrupted only by a short institution visiting in Brincovenesti thanks to the invitation of our kind host, Asociatia Alternativa Brincovenesti. Back to the professional work process, the representatives of the consortium members worked in 4 groups in 4 main topics/modules of the core training material with the aim of finalizing those modules and the whole core training material itself. The meeting reached its goal, as the core training material has been successfully finalized, so now the other step of the project called ‘collecting the adaption knowledge by nations’ can be under way. This step is to be made by the end of July, and after that will start the adaption process itself, which means the adjustment of the elements of the core training material to the national features and circumstances. This will be the process when theory turns into practice and practical, feasibility aspects will come into the first line. To tell it in another way, we can say that the consortium members already know what kind of competences do they intend to provide to the future DI managers or what elements do they like to see in the training material, but from now on the main question will be that ‘how we can implement all these theoretical things under the real circumstances in a nation by nation level. This will be the next challenge of our PODIUM project. 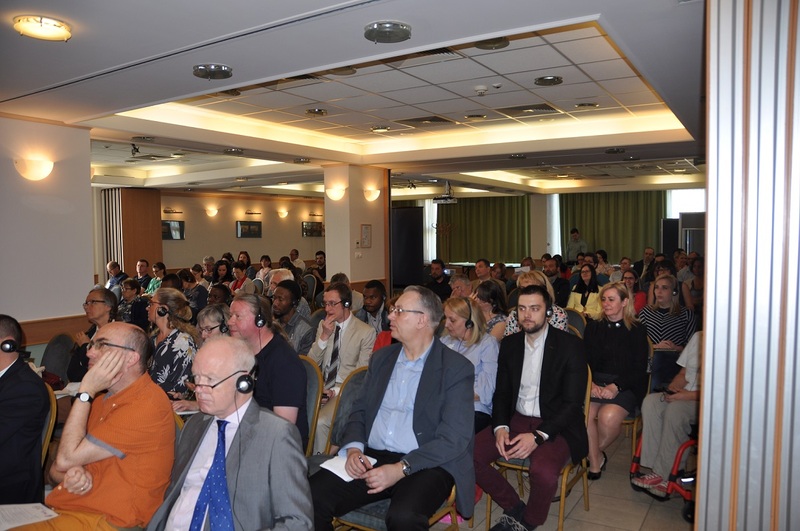 The professional work is now fully under way in the Erasmus+ project running under the name Path Of Deinstitutionalisation – Urgent Moves (PODIUM). The project implementation takes 32 months and is realized from a total grant of 293 265 € EU fund. 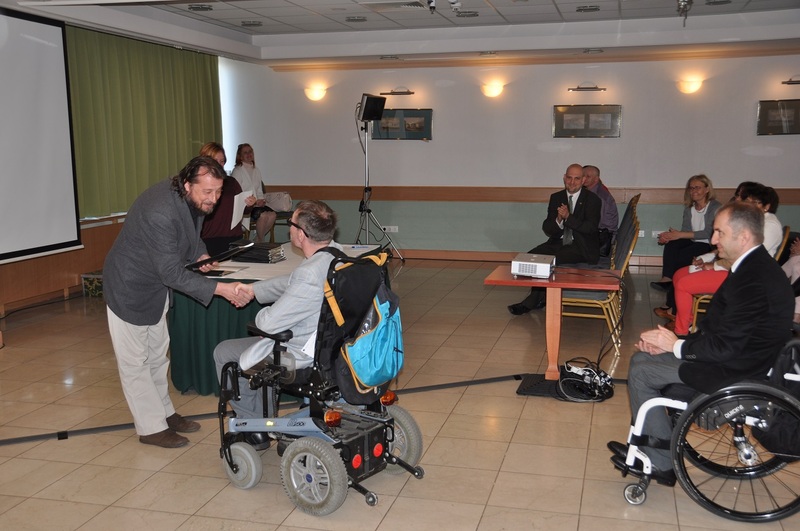 As the starting step of a very long and indepth working period, the six consortium members (Equal Opportunities of Persons with Disabilities Non-profit Ltd. and Eotvos Lorand University from Hungary; Central Denmark Region from Denmark, Asociația Alternativa Brincovenești from Romania, CUDV Draga from Slovenia and MDRI-Serbia from Serbia) are currently working with full concentration on the elaboration of that common base training material (core training curriculum), which will be the base of the later training programme of the future DI managers. Using a metaphor we could say that now the consortium members are currently developing such planting seeds, which are able to crop and bear fruits in any kind of soil, independently from the different climates of the various nations and also from the other environmental features (so independently from the current state of DI in the different nations). The next international partner meeting of the project will be held between 25th and 26th February 2016 in Slovenia, to where all the partner organizations will bring their own suggestions, recommendations (conceived by their internal/external experts) on what kind of features, attributes and structure should this universal seed have. Then, later on in the project, all the partners will adapt this seed (this core training material) to their own countries and target groups, adding those specific features and attributes which can help the seed to acclimatize to the nation-specific soils and environment and bear many fruits in its own nation-specific environment. In this case the many fruits mean many open-minded, competent and professional DI managers who can manage the whole DI process in their own countries in the most effective way. 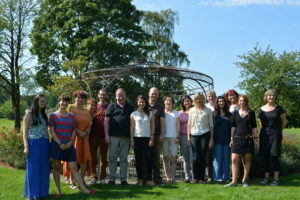 Pursuing the same objective, Central Denmark Region has already started to elaborate the train the trainers programme. What do they expect from DI manager training? What are the key areas of the institution transition according to people with disabilities? Who are the key persons, leaders of the DI process? Who should be the target groups of the training? What should be the main topics of the training? How should be the training built up? After the focus group, our 3 experts started the elaboration of the suggestions of Equal Opportunities of Persons with Disabilities Non-profit Ltd. on what should be the main elements of the core training programme. These suggestions will be represented by our organization in the next international partner meeting in Slovenia, where also all the other partner will represent their own suggestions in this topic. At 16th October 2015, the “Path Of Deinstitutionalisation – Urgent Moves (PODIUM)” project has been launched with the kick-off meeting held at the centre of Equal Opportunities of Persons with Disabilities Non-profit Ltd. (FSZK). The implementation period is 32 months and this Erasmus+ project will be implemented from a 293 265 € total grant from EU. Beside the consortium leader Equal Opportunities of Persons with Disabilities Non-profit Ltd. (FSZK) five other organizations from four different countries are parts of the consortium, namely: Central Denmark Region (Denmark), Asociația Alternativa Brincovenești (Romania), CUDV Draga (Slovenia), MDRI-Serbia (Serbia) and Eotvos Lorand University (Hungary). In the course of the project we plan to improve the professional content developed during an earlier LEONARDO mobility project in the topic of DI. In the kick-off meeting a very constructive, interactive and fruitful work has been implemented by the participants, who had the chance now to get to know each other, obtain some knowledge on the current state of DI in the different countries and define together the further tasks and also the nation-specific objectives of the project.